It’s taken me a long time to write this review. Not because I couldn’t sum up my thoughts, and not because for the past two month’s I’ve inexplicably disappeared from the web world. 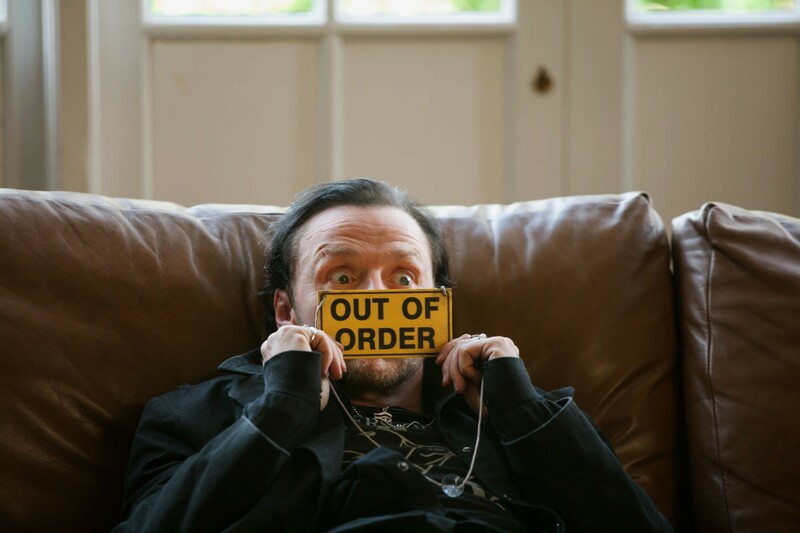 No, the reason it’s taken me so long is because my gut reaction to The World’s End, the newest Pegg/Frost/Wright adventure, was that it wasn’t the best in the ‘Cornetto’ trilogy, upon further reflection, it became my favourite of the three. The film contains a lot of heart and an undercurrent of brotherly love that hasn’t been seen in film in a long time. 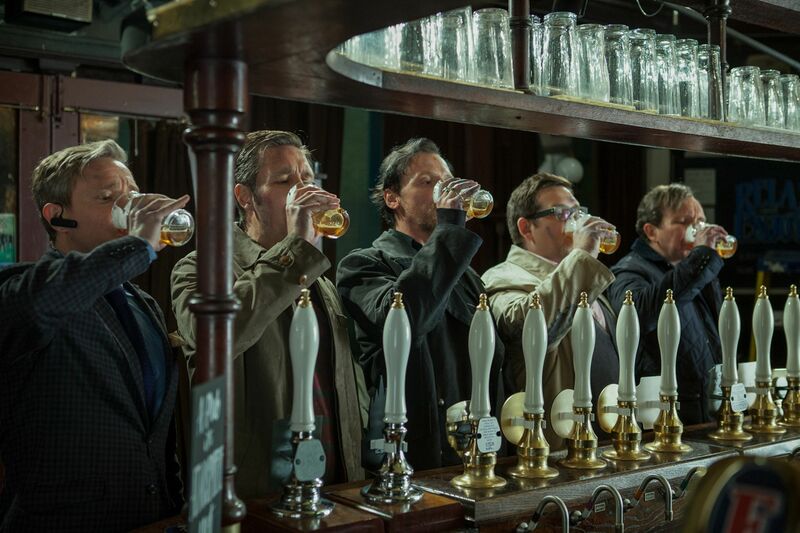 The World’s End is the perfect antidote to big budget movie making. That last sentence may seem a bit strong, with an estimated budget of around $30 million, this is not exactly an independent movie. What Edgar Wright and his cohorts have managed though is a big budget blockbuster on the scale of a university student’s love letter to their favourite genre. The World’s End is this trio’s love letter to the sci-fi genre, and just like Shaun of the Dead and Hot Fuzz with their send up’s of Horror and Action respectively, they have succeeded once again in crafting something special. The plot of the film begins relatively simple but veers of into realms so bombastic and out of the blue, it makes ‘From Dusk ‘Til Dawn’ seem like a linear story. We begin simply enough with Pegg’s character Gary, who to himself, is somewhat of a legend in his old town, wanting to recapture his youth and the greatest night of his life. To do this he wants to conquer his White Whale, the so called ‘Golden Mile’, a 12 stop Pub crawl ending with the eponymous World’s End, which Gary and his comrades found themselves unable to complete years earlier. In a protracted opening sequence (perhaps the weakest part of the film) we are introduced to Gary’s old pals as he meets back up with them in an effort to have one last go at the crawl. 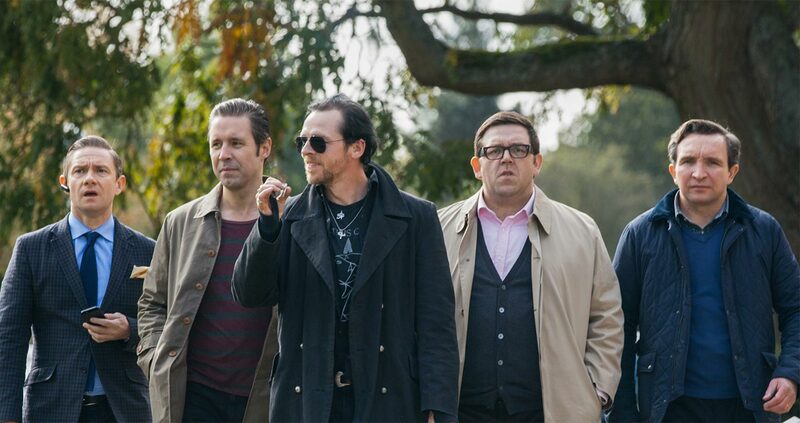 After some back and forth, the friend’s, consisting of Simon Pegg, Nick Frost, Martin Freeman, Eddie Marsan and Paddy Considine, all return to their hometown of Newton Haven. It’s obvious from the beginning that this place has a bit of a ‘Sandford’ (see: Hot Fuzz) vibe too it. Everyone seem’s slightly off. It’s not long before the crew are on their way to ‘one too many’ and things start to go a bit squiffy. I won’t go any further into the plot, suffice to say, thing’s go south. The real story though is that of the relationship between Pegg’s Gary and Frost’s Andrew. This is the best I’ve seen these two. The chemistry between them is so pure, Walter White himself may have been involved in bringing them together. Right from the off their’s a tension between the two leads, surrounding an ‘accident’ that occurred some time in the past. Pegg and Frost were born to act together and the fact they are extremely good friends in real life really shows through. They are with out a doubt the best double act going. The rest of the cast perform admirably, though they really are just extra’s compared to Pegg and Frost. There’s a couple of nice cameo’s and everyone gels, something that could have been the undoing of this movie should it not have occurred in the right way. By the end of the film you’ll feel triumphant, though, unlike Hot Fuzz and Shaun of the Dead, the film ends on more of a bittersweet note. It doesn’t matter though, the journey was great and the sooner Pegg, Frost and Wright collaberate again, the better. The World’s End is smart, and most importantly funny, and whilst it may go overboard sometimes, the two leads give the film a grounding that pushes through the slower bits. If you made a snap judgement on this and declared it not as good as Shaun or Fuzz, I urge you to re-watch, let the emotions sink in and to enjoy the film for what it achieves. The Newsroom renewed for third season? Fantastic Beasts and Where to Find Them – Harry Potter spin-off film announced! Providing you with the latest news, rumours, videos, and opinions on games, film and television, there's also some comic book geekery thrown in for good measure. eatpraymedia is always looking for stories and news so if you want to get in touch use the contact info at the bottom of the site. Do you have a passion for any of the topics we cover? Want to excercise your journalistic tingly feelings? Get in touch, new contributors are always welcome! Enter your email address to follow this blog and receive notifications of new eatpraymedia posts by email. If you want to give us a pat on the back, send us free stuff, or want to tell us off for stealing something you own, you can get in touch with us in the following ways.